Responding to demand we recently ran a mining masterclass for the mining industry. During the masterclass two questions were common themes for the attendees. Given their importance we thought that we would summarise the question, and answer, here. A mine owner employs a contractor or consultant to effectively procure works or services on its behalf (as its agent) in relation to a mining project. It includes in the contract all the usual provisions concerning compliance with the company’s bribery and corruption policies as well as a strict protocol re conduct of any procurement procedures/delegation guidelines. Is the company nevertheless at risk of censure by the authorities if the Contractor/Consultant is corrupt in its procurement practices? What factors would be taken into account and how can the mine owner best protect its position? If the mine owners are subject to the UK Bribery Act then the short answer is yes. In this example the contractor or consultant is procuring works or services for and on behalf of the mine owner. It is likely that this will be construed as performing services for and on behalf of the mine owner – which in turn will mean that the contractor or consultant is an Associated Person of the mine owner. The classification of the contractor or the consultant as an Associated Person is very important. Under the Bribery Act Associated Persons, namely third parties who perform services for and on behalf of a mine owner, can trigger criminal liability for the mine owner. Put another way the mine owner is responsible for the conduct of the contractor or consultant notwithstanding that it has no visibility over its conduct and activities when performing services for the mine owner. To deal with this the mine owner will need to satisfy itself that the risk that the contractor or consultant will not become involved in bribery in performing the work for the mine owner. In legal speak this means the mine owner needs to ensure that they have effectively implemented Adequate Procedures to prevent bribery in relation to the services being performed by the contractor or consultant. As with any other transaction where risk is being assumed by a business the best way to deal with this is through a thorough risk assessment and due diligence process, followed up with legal and practical protections. The Government guidance highlights the importance of undertaking a risk assessment on the proposed arrangements, undertaking proper due diligence (which would include detailed diligence on the consultant or contractor). Both these steps would likely need to be combined with various controls, training and ongoing monitoring and review. In the example provided it is possible that, broadly speaking, this will conclude that potentially there is a high risk. The results of the risk analysis will drive the specific detailed due diligence which will need to be undertaken and, in turn, the nature of the procedures which will need to be put in place to prevent bribery in these circumstances. However, it is likely that these will go beyond standard representations and warranties in an agreement and could likely include more intrusive controls, for example audit rights, checks and balances both contractual and practical. In summary, it is highly unlikely that simple representations and warranties will be sufficient. Mine owners are well advised to consider existing relationships and new relationships with a view to ensuring that they are comfortable that the contractors and consultants themselves present a low risk, the stakes are high. 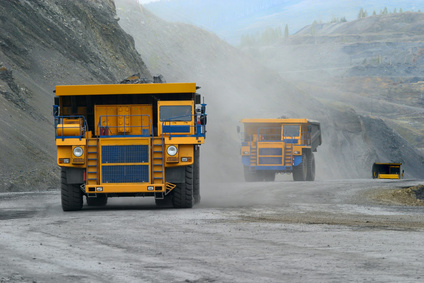 Mine owners often require contractors and consultants to comply with their own policies/protocols yet those very same contractors and consultants have well developed policies and protocols of their own (and have expended considerable time and money in training their operatives in those procedures). It may also be difficult to ensure proper training when the contractor/consultant has contracts with a no of different mine owners each of whom has a different policy. The answer to this question follows on from the answer to Scenario 1. In other words the key will be to confirm that the contractors and consultants working for you have an effective and properly implemented anti-bribery policy. If they do then it may be sufficient to rely on their training procedures. The solution will be part and parcel of the initial risk assessment, due diligence and the result of that process.